Isn't it better when your wish is fulfilled this Christmas? So from September 26 until December 6, all transactions made to BDO Kabayan Savings account and BDO Savings account will be the equivalent of an e-Raffle entry. The more you send, more chances to win! Which of the prizes below do you wish to win? Note: Advance reservation is required. *This can be convertible to SM Gift Pass corresponding to the actual cost of the prize. 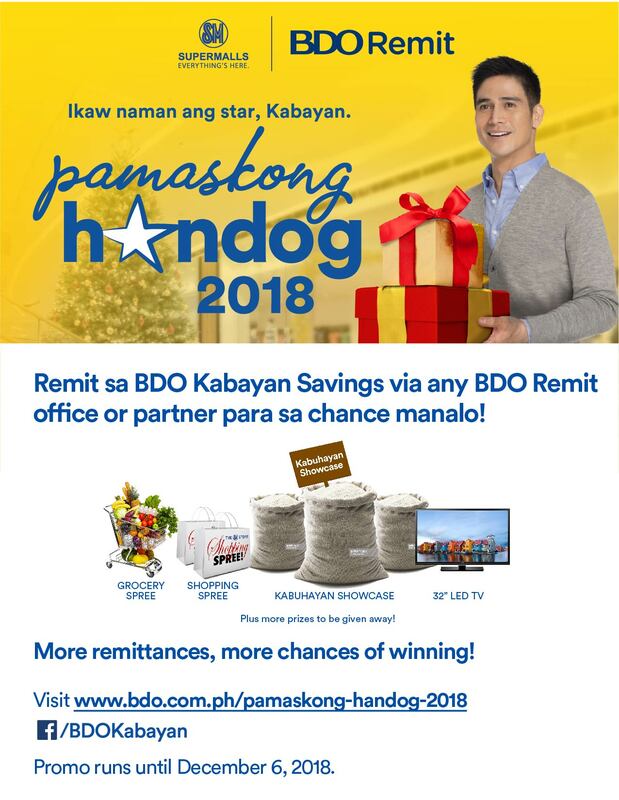 Send money to the Philippines Today and earn an e-raffle ticket to BDO Pamaskong Handog promo. To know more, follow the link below.